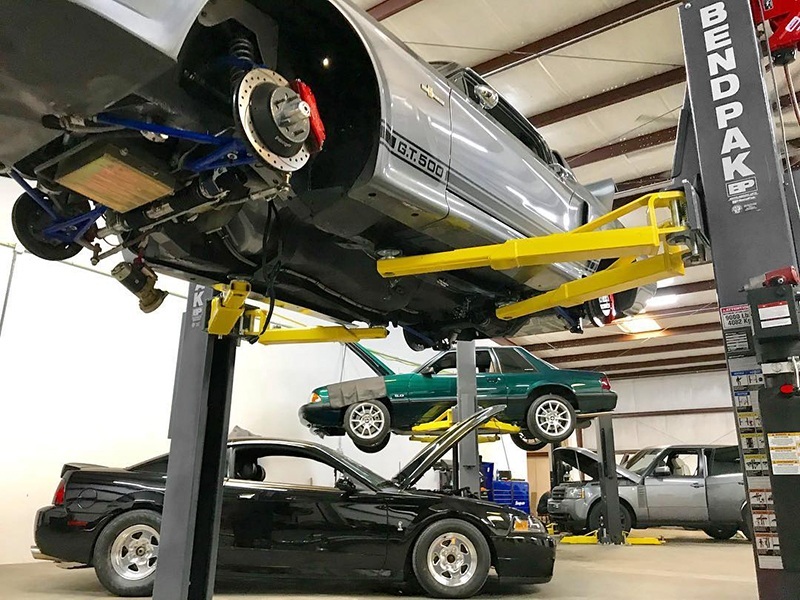 Designer Car Lifts - Why should auto shops and DIYers care? We know what you feel. You feel it every time you look through the small glass windows of the garage doors at your local auto shop. 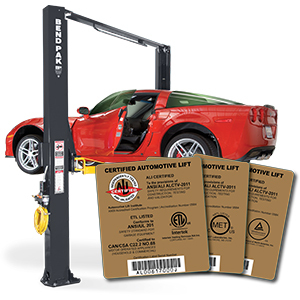 You see those bright, beautiful BendPak car lifts standing like monuments over the world. If only you could have a BendPak of your own and be like them, right? We know you’ve always been interested in us, and to be honest, you should be. We’re the best lift manufacturers in the world. If you own a shop, you should be putting yourself in the shoes of your customers, as well as your competition. This is especially true if you’re more impressed by their BendPak equipment than you think they would be of your off-brand, bargain barrel stuff. That desirable BendPak label sits near a second label too: the gold ALI Certified sticker prominently featured on the post. As purveyors of the world’s best “designer” two-post lifts, four-post lifts, scissors lifts and alignment lifts, we have a list of reasons why our ALI Certification and designer status matter. You already know BendPak is the real deal. Here’s a reminder of what we offer. There are a lot of cheap lifts out there. They’re cheaply priced, cheaply made and cheap-looking too. Some shop owners will wonder why they should pay more for an ALI Certified lift when they can get a non-certified product for a few hundred dollars less but rated for the same weight capacity. It’s the same principle behind spending $120 or more on a pair of Ray-Ban® sunglasses when there’s a six-dollar knockoff at the local convenience store. The cheaply made sunglasses are going to break. Maybe not today, maybe not tomorrow, but soon. For the super-cheap price, you get a set of ill-fitting, crappy-looking knockoffs. Unlike car lifts, a broken pair of cheap sunglasses is easily replaced. With a cheaply made lift, you know something is going to break, causing downtime plus the cost of repairs, plus the possibility of labor fees from a service team. The stuff in your garage or shop says something about you. Everything talks, from the posters, art and photos that decorate your wall, to the cars you drive, to your choice of garage equipment. If you drive a Prius, you’re probably concerned about mileage and the environment. If you drive an SRT Hellcat, you’re our kind of friend—let’s hang out. But seriously, your auto lift speaks volumes about you. 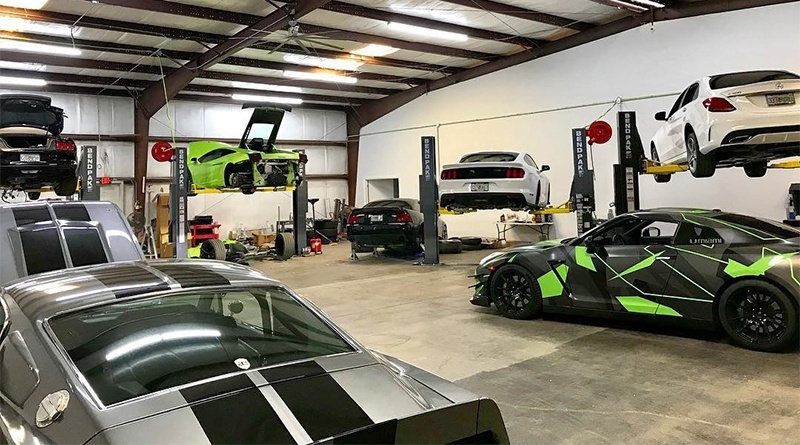 Off-brand, uncertified lifts don’t belong in a garage full of nice things; what’s more, those knockoff lifts speak for themselves. They say that the owner doesn’t respect his or her business or customers enough to make long-term investments with real BendPak lifts. Identity matters in professional environments. Word gets around when shops take shortcuts with their equipment. If a shop owner is willing to skimp on quality, what conclusions will a customer draw about how that owner treats his or her customers, charges for parts and labor, etc.? 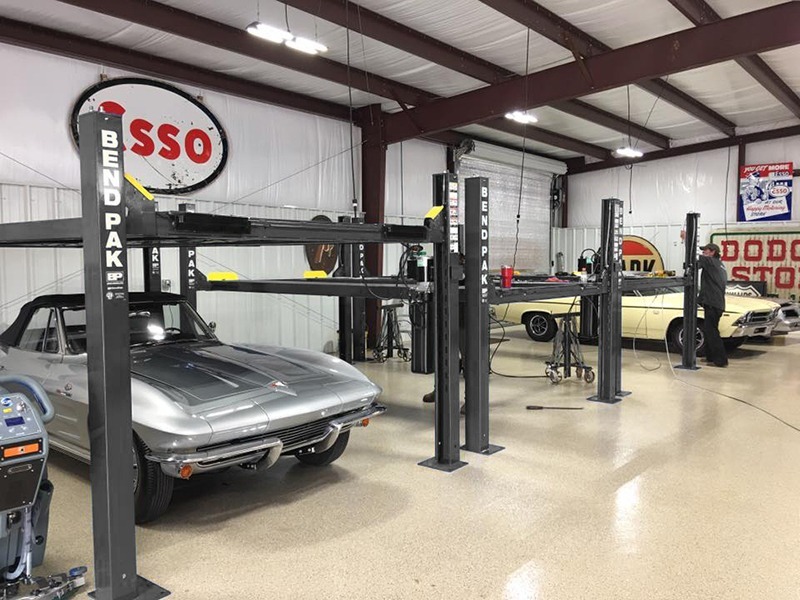 When you see a shop outfitted with BendPak lifts, you’re entrusting your vehicle to smart minds and capable hands. This is related to creating an identity. A strong identity will earn you respect. As you know, not everyone buys the best brands, but most people can identify those brands by name. Those familiar with fashion know the difference between a Coach® purse (granted, men don’t usually notice things like this) and one of those ripoff “Coach” purses. Likewise, BendPak is the real deal, and people are going to recognize you on that basis alone. We’re not shy about showing off our name along the posts of our lifts, loud and proud. You won’t be, either. By now you’re probably noticing a trend among numbers 2, 3 and 4. They all have to do with status. In the business world, your status and reputation matter. That designer status that appeals to fashion lovers should also appeal to car lovers—at the end of the day, designer quality is the key ingredient to attaining higher status. People connect with you more on an emotional level when they associate your company with positive feelings and high worth. And, at the risk of sounding vain, we’re proud of the fact that our lifts cost a little more than some of our competition. We put pride into our work, which means better engineering, a sleeker aesthetic and safer, oversized components for your protection. It takes a savvy businessperson to go with BendPak over a no-name, and it’s an investment that pays off big time. In fact, people with a few extra bucks to invest on intelligent purchases tend to flock together; these are the people who are investors, spenders and go-getters. You want them to notice you, because their attention improves your appeal, wins you their business and increases your bottom line. Trust us: you do not want to be known as the ugly duckling of the auto industry. Even if you’re new on the block and struggling to pay rent, people gravitate toward the most successful-looking shop. Money matters, and BendPak lifts in your service bays ensure you're using it wisely. DIY’ers also benefit greatly from the respect of the car community, even if their reasons are not business-related. A higher status among the experts will ensure you stay engaged in better discussions about garage work, finding better deals, etc. The people you want on your side will always, always, always respect your BendPak equipment. 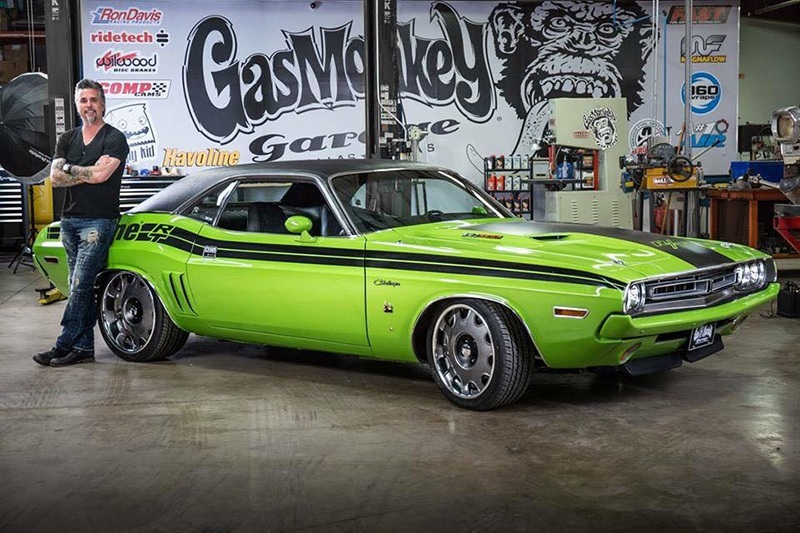 Watching most TV car shows, you’ll notice something they have in common: BendPak lifts service their expensive custom cars and trucks. The people you see on TV don’t use BendPak just to make their shops look pretty. While there’s a level of glitz and glamour to the world of television, these guys are all on tight deadlines, both in their shop work and their film schedules. They want the best, so they choose us. It’s not bragging if it’s true, right? It’s a competitive world out there. If we didn’t meet and exceed their needs and expectations, these shops simply wouldn’t choose BendPak lifts. Pay attention to who’s-who in the automotive world, and you’ll see that BendPak inspires the highest trust, not to mention that extra glimmer of celebrity status. We like the attention, and we earn it by being the only car lift name worthy of the hype.